BELLEVUE, WA—April 9, 2018—The Pokémon Company International and Nintendo announced today that a new Mythical Pokémon has been discovered in the world of Pokémon Ultra Sun and Pokémon Ultra Moon: Zeraora, the Thunderclap Pokémon! 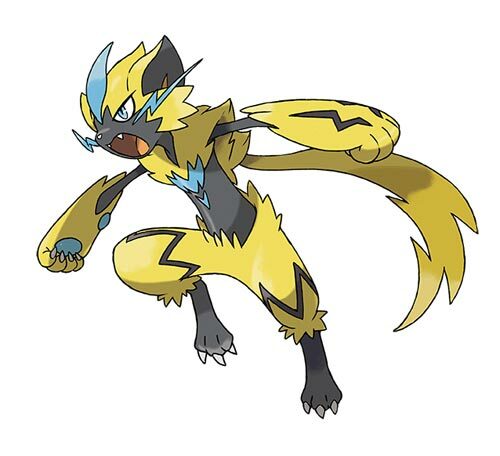 Zeraora is only available in Pokémon Ultra Sun and Pokémon Ultra Moon, and cannot be encountered in regular gameplay. Launched in November, 2017, Pokémon Ultra Sun and Pokémon Ultra Moon are the latest titles in the core Pokémon video game series available exclusively on the Nintendo 3DSTM family of systems. Check out Zeraora’s speed and power in an all-new trailer: https://youtu.be/U01CanlkFs0. For more information about Pokémon Ultra Sun and Pokémon Ultra Moon, please visit: Pokemon.com/UltraSunMoon.